Outlander is all at sea in this underwhelming, thinly-scripted filler episode. Warning: This contains spoilers for Episode 9 of Outlander Season 3. Not caught up? Read our reviews here. Outlander Season 3 is all at sea this episode, as Starz’s adaptation of Diana Gabaldon’s novels takes to the wide blue oceans for some sailing action. That, in itself, is no bad thing – Season 2 of Outlander succeeded partly by expanding its scope with a channel-hopping fare to France. But while hopping on a ship is all well and good, Outlander’s main problem is that here, it doesn’t know what to do once it’s set sail. Or, to labour the metaphor just one sentence longer, the series has the confidence to head out to sea, but keeps running aground. Why are Claire and Jamie at sea? Because Young Ian was captured by Surprise Pirates at the end of last episode. And it’s that very same logic that undermines this instalment at every turn: after taking its sweet, moving time in reuniting our couple, Outlander’s strategy of relying on random obstacles to keep them apart is becoming less and less subtle. 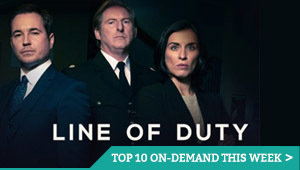 From sexual assault (again) to hiding a dead body, not to mention selling smuggled liquor, and facing off old flames, the show is fast running out of ideas – and that becomes painfully apparent. Looking to catch up with Young Ian (let’s just call him Ian, ok? ), our couple board a trading ship, the Artemis. But, of course, it being a boat and her being a woman, superstition promptly seizes the whole crew, as they eye her warily. What does Claire do? Keep her head down and not act suspiciously? Of course not. 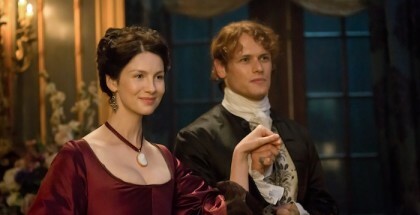 And if you’ve ever been frustrated in the past by the nurse’s loose tongue, stubborn-minded opinions and lack of tact, this episode isn’t going to do wonders for your tolerance of Claire – mainly because she’s currently going through a phase of questioning whether Jamie and her should be together, despite the fact that they plainly should, and demonstrated so last episode. It’s surprising just how much a change of context can impact your perception of characters, and on this boat, in this episode, Claire comes across as surprisingly ill-prepared for being a fish out of water – despite this being her third season in that state. Jamie, meanwhile, is distracted by the discovery that Fergus is on board, along with Marsali, the love of his life – who just happens to be Laoghaire’s daughter. Cue Claire and Jamie both trying to stop them consummating a relationship they hop will lead to marriage – a diverting enough subplot, if the rest of the narrative actually had some substance to it. In no time at all, the Artemis finds itself stalling in the middle of the sea, with no wind to sweep it forwards – and the crew, naturally, blame the woman on board. (Fortunately, some of the crew happen to be Jamie’s old mates from prison, so they’ve got some support.) And that lack of momentum only reinforces all the problems with this shallow-scripted effort, which introduces us to a captain who likes quoting Shakespeare, for reasons, and, most awkward of all, Mr. Willoughby. Playing by Gary Young, Willoughby (real name: Yi Tien Cho) is one of the novels’ most controversial characters, as he embodies a whole heap of historically accurate but no less dubious racial stereotypes. Curing Jamie’s seasickness with acupuncture (of course), he then distracts the whole ship from doing anything drastic by delivering a sweeping monologue that’s just melancholic enough to make the rest of his screentime palatable – and, lo and behold, as soon as he finishes, the wind kicks in again. It’s at this point that a British ship, the Porpoise, cross their path, with a crew full of sick men. 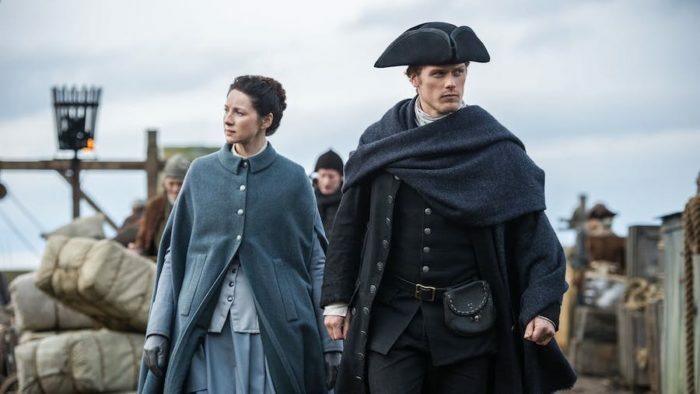 Claire diagnoses it as typhoid and trains them how to cure it – because why worry about helping Jamie, rescuing Ian or healing her marriage, when she can play doctor with a bunch of strangers? 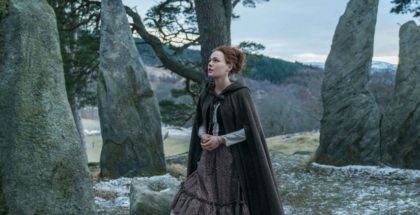 Claire’s medical skills are a wonderful facet of her character, and it’s been a pleasure to see her in action in Boston, and using those surgical skills after going back through the Stones, but there’s a limit to how often Outlander can hit pause on its overall story for the sake of some Casualty-style drama. That becomes more frustrating when the ship she’s helping decides to sail off with her, the captain promising to leave her in Jamaica (where Ian’s ship is headed) to wait for the Artemis and Jamie. 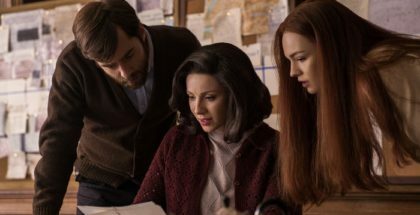 Seeing where this Jamaican tangent will go promises some intriguing new territory, even if it does presumably involve more Mr. Willoughby, and it’s always a pleasure to see Caitriona Balfe and Sam Heughan interact, but the prospect of yet another cliffhanger featuring Claire in peril doesn’t exactly fill us with floods of confidence. The episode is called The Doldrums. It certainly lives up to the title.